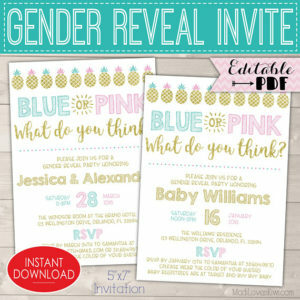 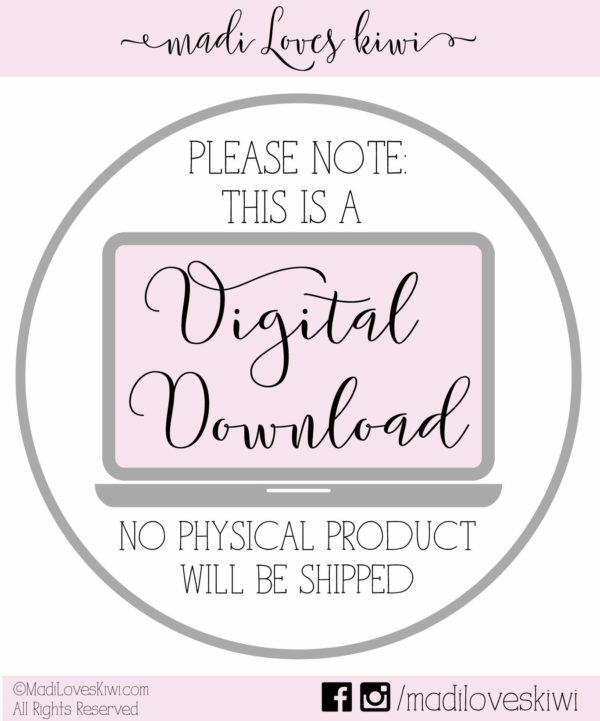 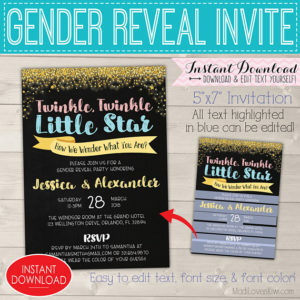 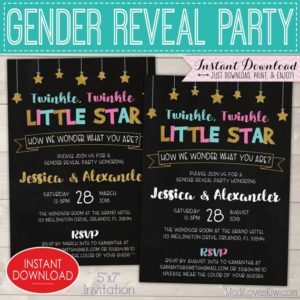 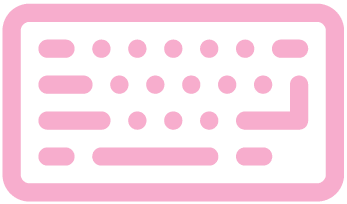 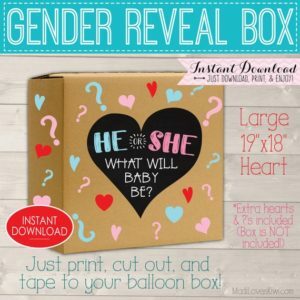 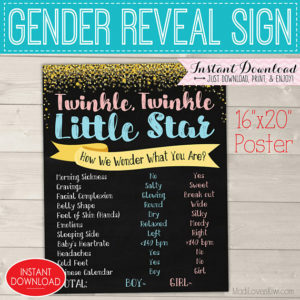 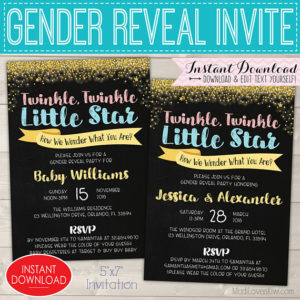 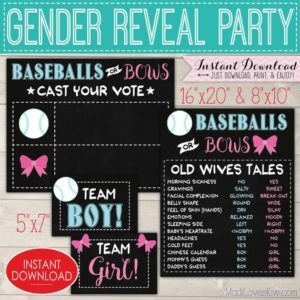 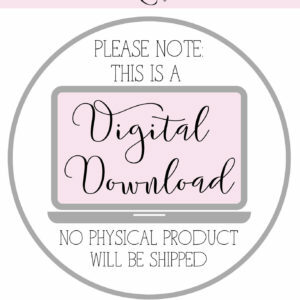 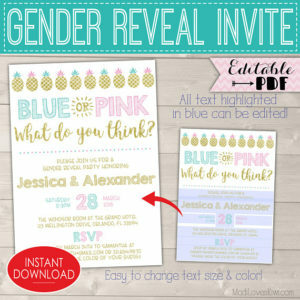 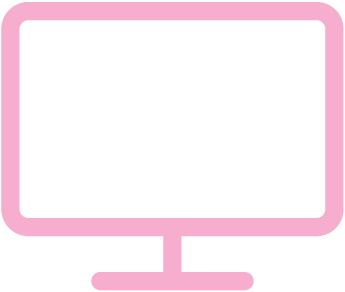 Throw a Beards or Bows Gender Reveal Party like a boss with minimal effort with our digital kit! 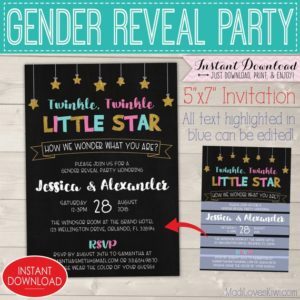 These decorations and photo props can do double duty as activities at the party! 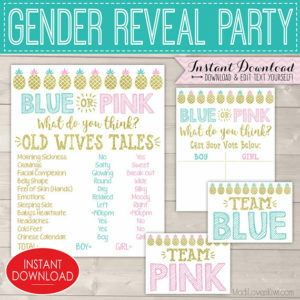 The proud mama can mark her answers right at the party so she can share funny stories that come to mind. 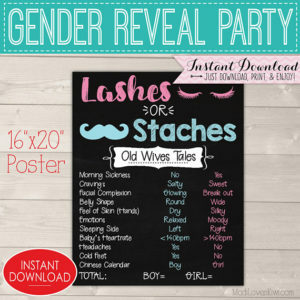 The cute beard and bow tallies are perfect for each guest to cast their vote on the voting board. 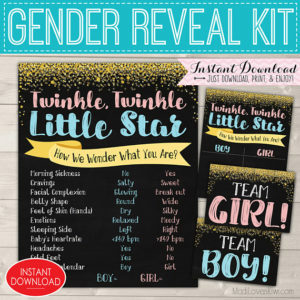 And before you do the big reveal, take some fun photos of the happy parents with Team Beards and Team Bows that they will cherish for years to come!